The real and crypto worlds have so many things in common, when it comes to the best and securest place to store money. Today let’s focus on the cryptocurrency wallets and what best cryptocurrency wallet you can use. Read about differences between custodial and non-custodial wallets. Cryptocurrency wallet is an application that stores private keys and public addresses and used to manage (store, send or receive) cryptocurrency. In some cases, a cryptocurrency wallet handles only one coin, but it becomes inconvenient when you need to manage many coins and tokens (you will have to install a several applications, store several passwords and keys on your device). That’s why having mono-currency wallets is not the best option. Several cryptocurrency wallets provide the ability to manage different assets in one place. In most cases, such wallets encrypt your private keys on a device, whether it’s a cold USB-wallet (like Trezor) or a light and at the same time secure wallet like Atomic. Atomic Wallet stores a user’s private keys on a device. Only you have access to your private keys at anytime. They always stored only on your side. It demands from you to keep your back-up phrase in a secure phrase and never send it to anybody. How your funds are managed in Cryptocurrency Wallet? Some people often asking this question on our Chat in Telegram or in Twitter. Funds stored on blockchain. Atomic Wallet is an interface, a door to all your crypto assets. You manage it from Atomic but operations and funds stored on blockchain. And only you have access to them..
And how do I manage money right in the blockchains? Once you see your keys and addresses, you can manage crypto. On the first screen, you see balances and the whole list of coins + tokens. Let’s say you want to send your BTC to another address. When choosing the amount and clicking send, you insert your password to sign your transaction. Once it’s done, your transaction is signed(i.e. Address A wants to send 0.1 BTC to the address B with a fee=0.00001BTC) and then transferred to the node. 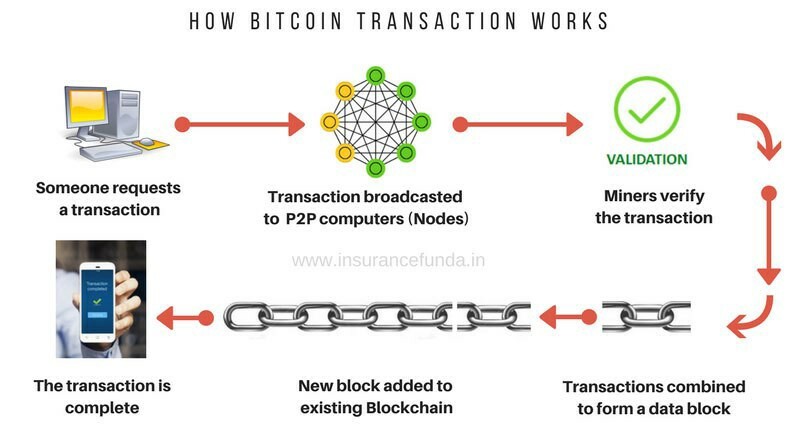 The node represents a server or computer that broadcasts transactions to miners or validators. Once it’s confirmed and your funds were sent you can see that your balance decreased and there is a report in the history tab. How do you see your balances in the wallet? You see your cryptocurrency wallet balances, as Atomic Wallet is connected to block explorers. It’s like a book of transactions with the whole blockchain history. When the block explorer syncs your address, the balance will be automatically updated within the cryptocurrency wallet. Atomic asks a block explorer your balance. If block explorer answers your relevant balance shows up in the wallet interface, and you get an automatic update shown in USD). Note: In some cases, it may take several minutes due to network overloads. Your USD balances are calculated according to relevant Coinmarketcap rates. What to do if you check your address balance on the block explorer, but in Atomic you see zero balances? Most probably you’re facing problems with connection to the block explorer. It’s either blocked in your region by CloudFlare or there can be some other issues. And what to do? No worries. Your funds are on blockchain and they are safe. We just can’t connect to the block explorer to display it in the interface. Contact our support center at support@atomicwallet.ioto get help and more information on your payment. For example, you want to send money from exchange to Atomic Cryptocurrency Wallet. If you don’t have any crypto at all, you can buy BTC, LTC, ETH, XRP right in the wallet interface. Use your address to move funds to it. It’s absolutely unique and only you have control over it, because you have your private key. If you want to send XRP, XLM or XMR to Atomic Cryptocurrency Wallet, check our guide about Destination Tag transfers. Once copied, move funds to it. You will receive crypto in 5-20 minutes. To send money to the other address, copy a required address and paste in Atomic. Choose an amount and click Send. Your money has been sent! Click on the hash to see transaction status right in the blockchain. How to Buy Crypto in Cryptocurrency Wallet? To buy crypto right in Atomic Cryptocurrency Wallet you need to pass the verification process (only once). Please check our guide Please check our guide how to buy Bitcoin with a bank card. How exchange crypto in cryptocurrency wallet? Choose the crypto you’d like to receive and exchange. You will see your available amount. The fees are 0.5%. Now you’re ready to use crypto wallets. Don’t forget to save your mnemonic seed (which is VITALLY IMPORTANT) and don’t share it with anyone.